The Sport Techie blog welcomes contributions such as this new article about the influence of golf tech on the game written by freelance writer, Phil Oscarson. After many centuries, the game of golf remains true to its roots and traditions. Golf’s devotion to history and tradition is so canonized that many purists see technological advancements as threats to those traditions. But the fact is, technological advancements and the ways in which golf’s governing bodies have adapted to them could legitimately be considered part of the roots and traditions of the game. One thing is certain, outside the top players’ performances on the course throughout the season, golf technology is one of the hottest topics in the game. So let’s take a look at how some of those advancements have changed the face of the game. From featheries, to gutties, to the wound rubber Haskell balls of the early 20th century to the high tech multi-layered balls currently on the market, many experts consider the half-millennium evolution of the golf ball to be the single most influential advancement in the game. Jack Nicklaus, among many other PGA pros agree. Nicklaus won the official long drive contest at the 1963 PGA Championship with a record-setting drive measuring 341 yards, 17 inches. His record stood for 20 years. Modern long-ball hitters approach 400 yards because today’s golf balls spin better, fly farther and are better engineered than at any time in history. Because the modern golf ball is so high performing, the USGA and the Royal and Ancient Golf Club at St. Andrews has implemented five standards limiting the design of golf balls. 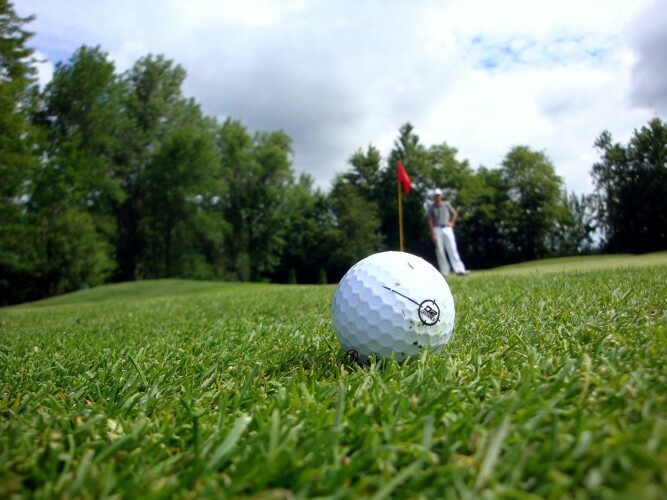 Regulations on golf balls aim to ensure that the outcome of golf tournaments continue to be determined by player’s’ abilities, not technology. There are many golf experts who feel Nicklaus would have consistently driven the ball 360 yards if he were using a modern golf ball. Just by way of comparison, the player currently leading the PGA in distance from the tee, Ryan Palmer, is averaging 327.8 yards. The famous swing coach, Hank Haney tells us that golf club construction has changed because of how dramatically modern golf balls outperform older ones. Because modern golf balls spin faster and are made from higher-energy materials, they get up faster off the clubface and fly better in the air. So, looking to give players a distance advantage, club manufacturers have de-lofted their club heads, making clubs effectively stronger, but also harder to hit. A less lofted club means less backspin. Less backspin means greater potential for sidespin, resulting in errant shots. Just a couple decades ago, the typical pitching wedge had a loft of 52 degrees. Modern 3-PW club sets come with pitching wedges lofted at 47 or 48 degrees. On the other end of the spectrum that results in 3-irons lofted like older model 1-irons, which explains why so few average players can hit long irons. That’s why Haney, and most swing coaches, suggest that recreational golfers will improve the betting odds of staying in the fairway if they replace their long irons with more forgiving hybrid irons. For centuries the only debate related to shaft construction revolved around which variety of hardwood was best. For the most part, the answer to that question was the same answer you get when you ask a professional photographer what’s the best camera. It’s the one that you have. These days, most players use steel shafts on their irons, and graphite shafts on their woods, with some exceptions. Women and seniors, people with lower swing speeds often favor lightweight graphite shafts throughout their set. Heavy hitters like Tiger Woods, opt for steel shafts to minimize shaft torque at impact. There are so many different versions in each, material lightweight graphite for speed, and stepped-down or smooth-tapered steel shafts for a combination of optimum swingweight, feel, and torque reduction. In all golf construction, clubmakers today are looking for the same combination of feel, flex, weight, durability and consistency that they sought from local hardwoods like danga wood, ironheart, bulletwood, washaba and purpleheart in Great Britain during the 17th and 18th centuries. But the added advantage to modern shafts is that they can be customized with an optimum amount of flex, and that flex can be designed to occur at specific points along the shaft. It’s known as the kick point, and it affects ball flight. More flexible shafts with a lower kick point create a higher launch angle to augment the distance achieved by a lower swing speed. Stiffer shafts with a high kick point help give heavy hitters a lower more penetrating ball flight, keeping their shots down and out of any unpredictable cross-currents in the air. There are many more technological advancements that continue to influence how the game of golf is played. High-tech textiles, like Nike’s Dri Fit, and Adidas’s Climacool clothing lines help regulate players body temperatures on the course, while many clothing designs have moved toward a more athletic look. Advancements in sports science, diet, and fitness technology have dramatically changed players’ training routines. And computer and camera technologies have changed swing analysis from an art to a science. Still, the game of golf boils down to a player and his or her skills and mentality pitted against those of the competition. Technology hasn’t changed that fact much, and it probably never will. 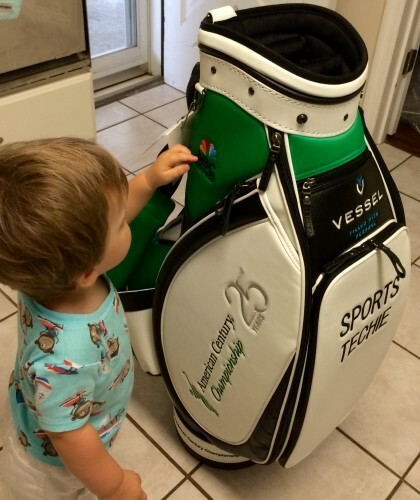 Custom Sports Techie Vessel Golf Bag. Sports Techie, I have been around the game for nearly 50 years and seen the impact sports tech has on the sport firsthand over the past three decades. Golfers that embrace technologies are fast becoming the norm around the world as the amount of players that do not use technological advancements in golf to enhance play, lower scores, and strike the ball with increased power, accuracy and consistency, using technologically advanced drivers, irons and putters, dwindles over time to nearly nobody. Tech is not the answer to a four putt, a shank off the tee or choosing the wrong club but technology can certainly help each player improve performance and discover deficiencies that may be hidden to the naked eye. Cameras can now film at such a high frame rates per second that instructors can easily slow down the club face, identify the plane of each stroke and use comparison videos to show students visual based lessons that were not available a few generations ago. The next superstar golfer may be Northern Irishman, Rory McIlroy, or American, Jordan Spieth. The latter is a 22-year old PGA professional that stepped up his game in 2015 with five PGA TOUR victories, including two Majors – the Masters and U.S. Open, then won the FedEx Cup resulting in the No. 1 ranking in the world. I imagine Spieth grew up playing the Tiger Woods video game by EA Sports like countless kids and adults worldwide but it was his vision, determination and execution that turned him into the best player on the planet. His partners include sports tech pioneering companies such as Under Armour and Titleist, along with my telecom provider since 2001, AT&T. My favorite thing about Spieth besides his passion for golf is the love for his sister, Elle, who like my son, is on the autism spectrum. Please support special needs children via the Jordan Spieth Family Foundation charity. 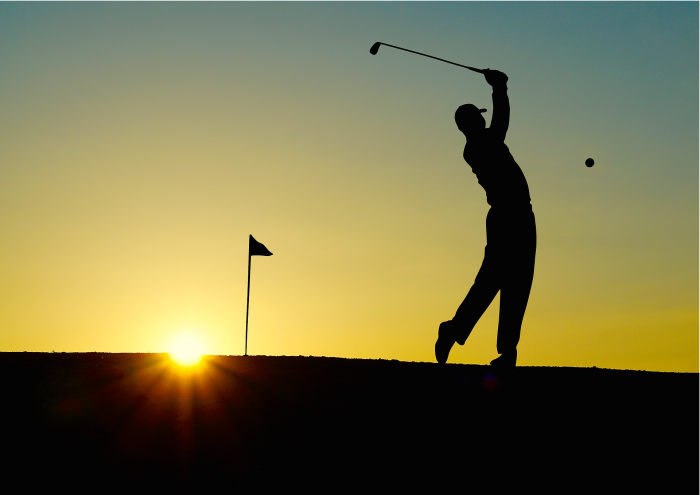 Next time you watch a live golf event on TV or your mobile devices, play 18 holes on a favorite golf course, or practice at the local driving range, remember the traditions of the game but embrace the changes tech has on all sports, especially your golfing future. Our gratitude goes out to Phil for being a Sports Techie guest blogger.